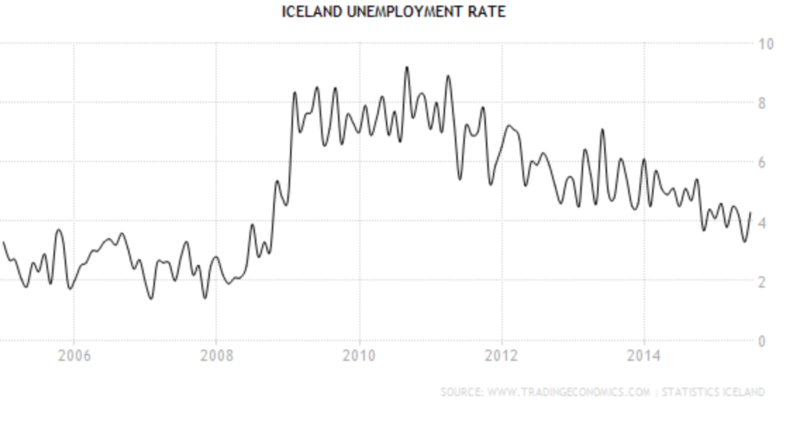 A short aside to those who think it’s only the economy, stupid – well, at least this is not the case in Iceland. If this is the case elsewhere, winning against parties overseeing economic growth is far from impossible: interesting now that the British Labour party is searching its feet with Jeremy Corbyn. Early in October 2008, 90% of the Icelandic financial system collapsed, leaving the nation shocked and bewildered. The government coalition at the time – social democrats led by the Independence party (c) – took some sensible measures and i.a. called in the International Monetary Fund, IMF. Yet, the coalition could not withstand the turmoil, in society and politics, and by February 2009 it had resigned, replaced by a left coalition with the Left Green party, never before in government, led by the social democrats. 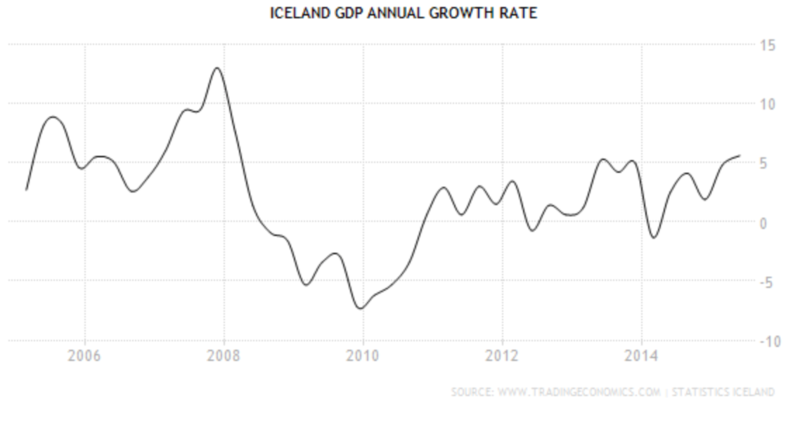 By summer 2011, less than three years after this national cataclysm, Iceland was back to 2% growth. Nothing like the growth before the collapse but still growth, enviable in a European context. The unemployment had spiked by that time, never went above the forecasted 10%. Still, shocking in Icelandic context though again benign compared to other crisis-hit European countries. At the time of the next election, in spring 2013, the economy was doing well,unemployment clearly falling, household debt falling and the two most important industries, fishing and tourism, doing well. Yet, the government that turned the economy around lost (yes, for many reasons such as vicious infighting and, what simply seemed a lack of will to live… another saga). Now, things are going even better, finally with a plan to lift the capital controls (execution remains to be seen) and many even talk of/fear a brewing boom in Iceland. And what do the voters say? Aren’t they happily embracing the government that has brought the economy onwards and upwards? No, actually not. Nor is there any nostalgia for the old left government, these two parties are doing badly as are the two parties in government. Instead, the voters have cast their love, at least in polls, on the Pirate party, which has never been in government and only just made it above the 5% hurdle, needed to get elected, in the 2013 election. In an early September poll, the Pirates scored an incredible 35.9%. In the olden days it was said that when a man traveled by a carriage the soul would lag behind as it could not keep up with the speed of the fast-moving carriage. This seems to apply to the national mood in Iceland: the economy is growing, even close to booming but the soul of the Icelanders has far from caught up – unless the Icelandic soul is simply yearning for an elusive something else not caught by the politics on offer from the other parties.